You’ve got your heart set on a Certified Pre-Owned Mazda CX-3 – now what? That’s the easy part! Now all you have to do is check out the selection of Certified Pre-Owned Mazdas at Sport Mazda Orlando. 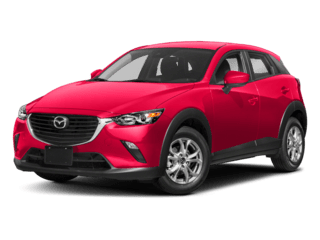 Either view our inventory online to see what we have in stock or visit us in person, where you can get some firsthand experience with Mazda’s fun-loving subcompact crossover and take a Certified Pre-Owned Mazda CX-3 for an exciting test drive. Our friendly and helpful Mazda experts are on hand to show you around and help you find your Certified Pre-Owned Mazda today. Call us today at our Orlando Mazda dealership, (407) 392-9336. Congrats on Your Decision to Buy Certified Pre-Owned! Knowing that your vehicle passed a thorough 160-point inspection with flying colors to ensure top-notch quality. Getting the remainder of the vehicle’s original three year / 36,000-mile New Vehicle Limited Warranty PLUS a 12-month / 12,000-mile Certified Pre-Owned Limited Vehicle Warranty. Receiving a seven-year / 100,000-mile Certified Pre-Owned Limited Powertrain Warranty. Having access to zero-deductible covered repairs and parts replacements at Mazda dealers nationwide. Having access to complimentary 24-hour roadside assistance for the duration of the Certified Pre-Owned Limited Powertrain Warranty. Receiving an AutoCheck vehicle history report and three-year Buyback Protection from Experian. The CX-3 is not just an excellent value, with its ample features and fantastic quality. This subcompact crossover has much of what drivers are looking for when they go shopping for a crossover vehicle. 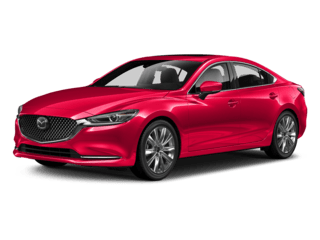 Its small size and Mazda-caliber performance make it fun to drive and easy to handle, and its high-quality interior and long list of standard and available features ensure that everyone inside will enjoy the journey as much as the driver does. “The car handles excellently and because of the way this car handled and steered on a test drive, I picked the CX-3 over a Subaru Crosstrek.” – Gene O. What are you waiting for? Find your Certified Pre-Owned 2017 Mazda CX-3 today when you visit Sport Mazda Orlando and check out what we have in stock. It just might be the smartest purchase you’ve ever made! Call today to lock-in our best price! (407) 392-9336.